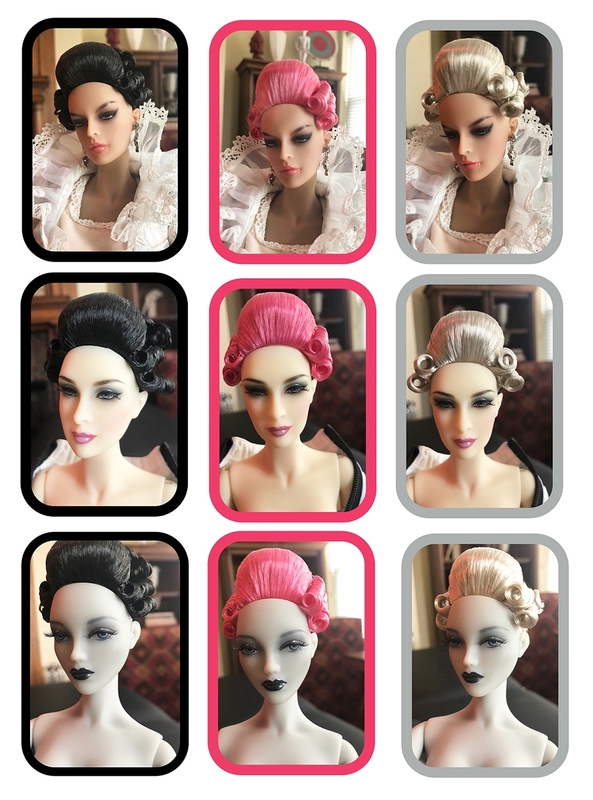 Coiffed in a fifteen century style, available in Silver, Hot Pink and Black. Suitable for all JAMIEshow Dolls with rooted wig caps, only. Ltd. Edition 30 each color.